I've been eagerly bringing my camera to every family outing we've had these past few months in the hopes that I'll get a good shot to use for our Christmas card. We're not really big on getting the family together at the photo studio in our itchy Christmas sweaters or whatever goofball crap some families like to wear for their Christmas card. Well... that and we're cheap. Who wants to spend all that money on fake looking photos where everyone looks more uncomfortable than cheerful? My plan for the perfect candid shot was not going so well. Every single time I snapped a pic, there was a blinking kid or a frowny face. I'm all for regular looking photos, but I wanted a little cooperation from the kids. Anyhoo... my perfect Christmas card photo never happened. 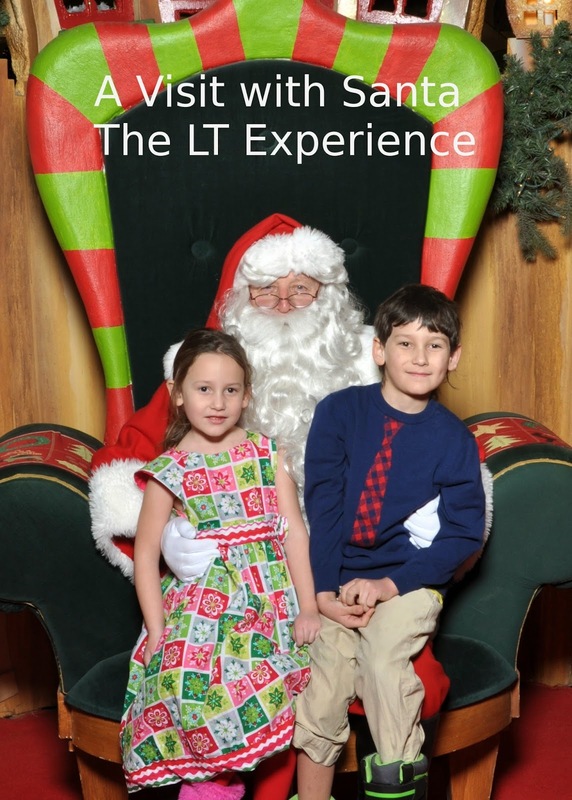 I had to resort to the next best thing - a photo of the kids with Santa. And it turned out pretty cute even with the silly volunteer girls taking the pictures. They told Logan to show some teeth which made him bare his teeth like a feral wolf or something. Yikes! And then they wanted me to approve that one as the best one. Ummm... no. I'm not that picky about photos, but really the wolf pic? That's the one you want me to go with? I chose a nice one with the kids looking as natural as they are going to with a big bearded dude demanding to know what they want for Christmas breathing down their necks. hehehe. Our Christmas cards are saved!